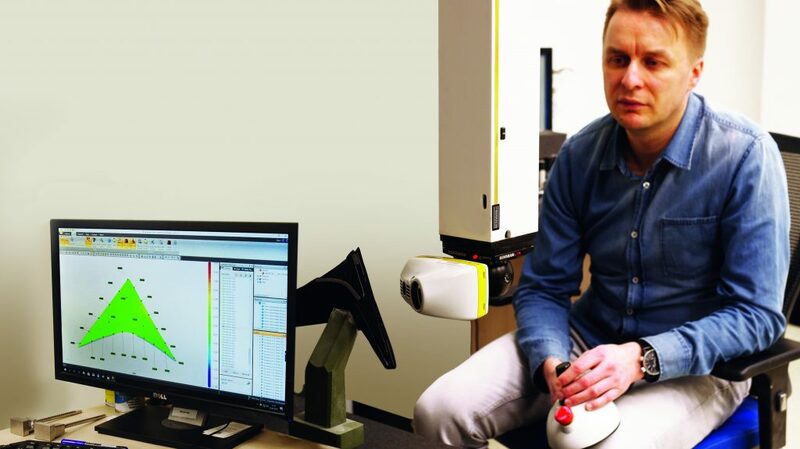 Czech based company, Lukov Plast, producer of plastic automotive components and sub-assemblies, reports considerably faster measurement cycles and feature measurements following installation of a Nikon Metrology LC15Dx laser scanner. Lukov Plast is a leading Czech producer of plastic parts and sub-assemblies. With many years of experience, this dynamic company specialises in the development and manufacture of plastic electronic components for the automotive industry. The core business activity is producing plastic parts, components and electrical assemblies. Often used in the vehicle interior, air conditioning systems and control units, these parts are manufactured by injection moulding. The ever increasing customization and complexity of parts is taking on a high demand of quality and requires a palette of flexible and adaptable inspection equipment. The fast paced automotive industry is already approaching the next milestone of autonomous driving. Whilst the sector evolves in this way, there is an increasing demand for not just life-critical components, but all components to be of the highest quality. Miroslav Pavlu, Measuring Technician at Lukov Plast explains that to manufacture assemblies and components which will withstand regular day to day use, products are subject to various life cyle and climatic tests. These tests are conducted to assess the performance of the part. Subsequent analysis then takes place to compare states. Previously, when conducting these tests and QA procedures, touch measurements with a CMM and various manual measuring gauges were used. Particularly the larger plastic parts pose challenges towards touch probe measurement. The difficulty lies in clamping the parts to be measured; deformation due to fixturing and using complex counterparts is to be avoided. A laser scanner offers repeatability and acceleration of inspection in a way that also lowers the cost of ownership: less dedicated fixtures are required as in the case of traditional tactile inspection. This results in a shorter time-to-market. With the limited repeatability of touch probe measurement, the whole measurement process needed to be improved and refined. Controlling the injection tools allows to steer the process correctly from the start. It was decided that the measurement process needed to be faster, more efficient and more accurate. The possibility of analysing parts with the ‘colour map’ was a major reason for looking to invest in a newer technology. To find the right product and the right supplier, several meetings were held. An upgrade from Nikon Metrology was clearly the most cost effective solution. With extensive expertise in retrofitting, integrating to 3rd party systems and the best-in-class laser scanning technology the decision was taken to install a LC15Dx laser scanner with Focus point cloud software. Measurement has improved significantly, accelerated about 50% and the programming is also more efficient, about 40%. 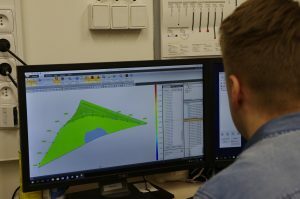 Furthermore the fact that the colour map is easy to understand for our colleagues and our customers, this also speeds up the measurement evaluation” – Miroslav Pavlu – Measuring Technician at Lukov Plast. The LC15Dx CMM laser scanner measures the plastic automotive sun visor assembly at Lukov Plast. The introduction of the Nikon Metrology LC15Dx laser scanner and Focus software meets, and exceeds the demands of Lukov Plast in many aspects. The colour map is a major benefit in both its simplicity for sharing information with colleagues and the time-to-market for the customers. “Thanks to the ability to create scanning programs, both for measurement itself and for analysis, including setting up, we can measure very quickly, efficiently and especially comparatively, which makes a big difference for the development of our products. The final protocols with the colour map are also easily readable for other colleagues”. The chosen solution provides greater efficiency in meeting measurement requirements, such as the possibility of aligning on certain selected features of parts, the possibility to align using RPS points or to create the BestFit alignment for the whole surface. “Measurement has improved significantly, accelerated about 50% and the programming is more efficient, about 40%. Furthermore the fact that the colour map is easy to understand for our colleagues and our customers, this speeds up the measurement evaluation”. 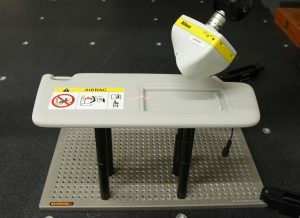 With the introduction of a Nikon Metrology laser scanner an element of uncertainty is removed. For new parts, the creation of part programs is considerably quicker and the technician doesn’t have to deal with fitting a part, since the technology is contactless. Not only is the speed a major benefit, but together with the ease of programming and reporting, it results in a range of benefits. Lukov Plast reports higher measurement productivity, higher accuracy and repeatability as the major benefits of the new system, as well as new possibilities. Currently the LC15Dx is used primarily in the Engineering department. However, with CAD comparison and the ability to reveal undesired distortions, the Development department has also made use of the equipment for testing new products and prototypes. An extra pluspoint was the local service organisation, Topmes s.r.o. which can perform full, adequate training pinpointed to the client’s needs. Based in Prague, the company plays a key role in providing native support, even beyond the scope of their duty. All in all, matching the LC15Dx laser scanner and Nikon Focus software with the existing CMM machine has been a game changer. From sharing and reporting data with the colour map for simplified and straightforward customer meetings without having a need for in-depth metrology knowledge, to contactless scanning, the installation has proven to be fast, accurate and highly repeatable. Miroslav concludes, “We are more than satisfied”. Read how Nikon Metrology laser scanners have been used for the quality assurance of 3D-printed medical implants.